Remember the wide-body BMW M3 E46 that we spotted last month? Looks like it has a new brother, but this time, it isn’t as polarizing as the Bavarian two-door. 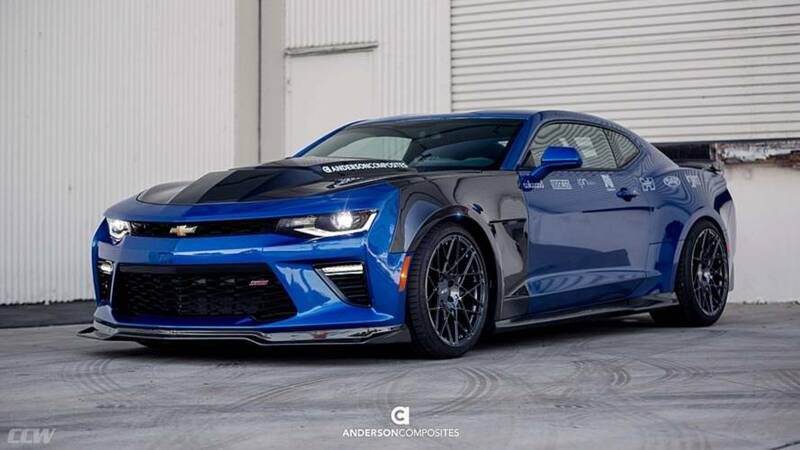 Together with Anderson Composites, a pre-facelift Chevy Camaro SS has been given a body treatment that gives the incoming 2019 Camaro SS a run for its money. 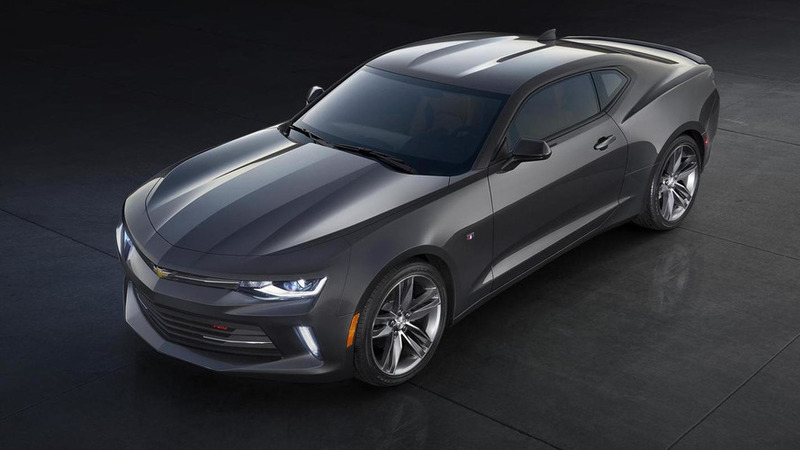 Through a shower of carbon fiber materials, the body trims make the Camaro SS a lot lighter than the stock model. The carbon fiber treatments evidently start with the hood, which then continue to the fenders down to the rocker panels. The latter is a reflection of the chin spoiler, rear valence, and rear spoiler with wicker. The resulting car is wickedly rad, plus the combination of the blue body paint and carbon fiber prints work like a charm. 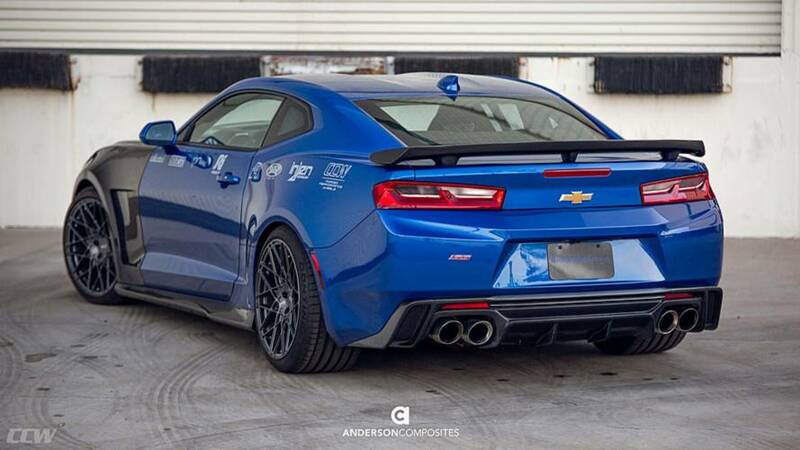 To complement the exterior getup, the Camaro SS is fitted with a set of equally striking 19-inch CCW Concave CVM10 wheels, with the rear wheels two-inch thicker than the front. A set of Continental ExtremeDW tires serves as the cherry on top of the cake. 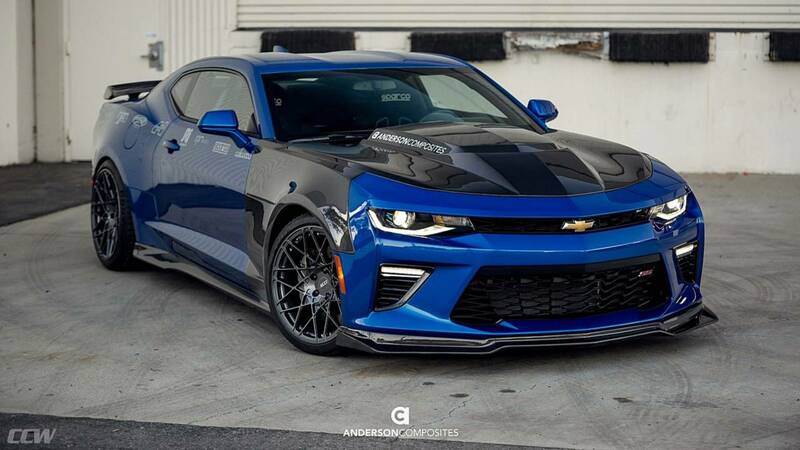 There not much upgrade inside the Camaro SS, except for RPM 6pt roll bars, as well as the Sparco Pro 2000 seats and racing belts. 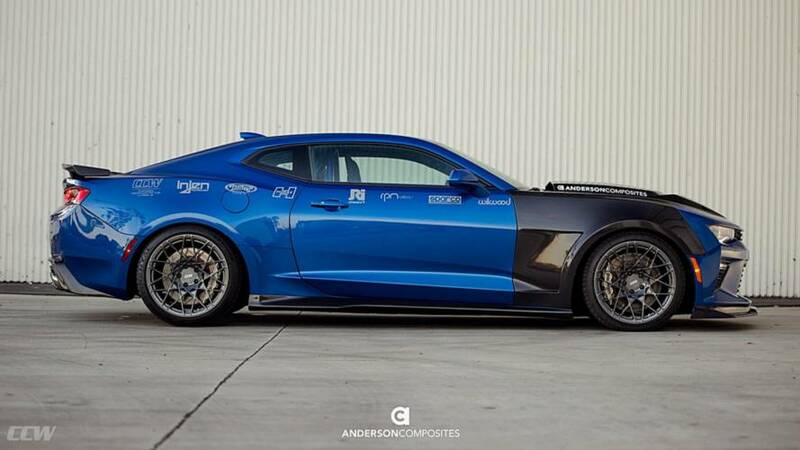 The Camaro SS makeover isn’t all show; several performance parts are also added, particularly in the suspension and brakes. It’s fitted with JRI Shocks, Detroit Speed Coil Overs, and Eibach Springs, while the front wheels have 15-inch six-piston Wilwood Aerolight rotors. Rear wheels get four pistons. 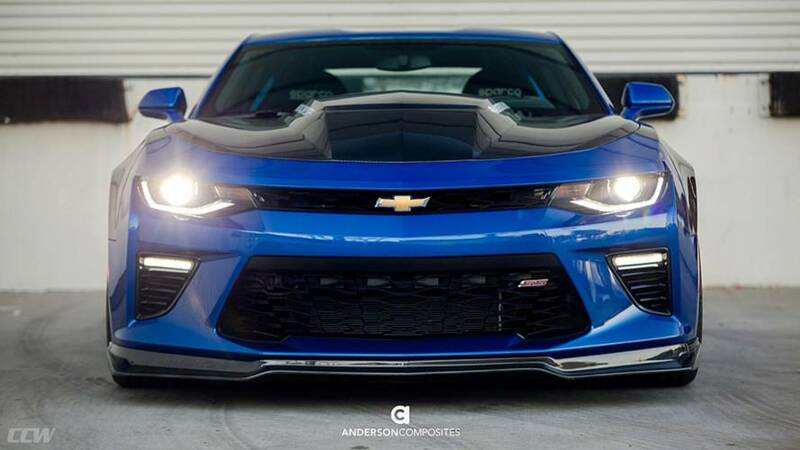 Inside the hood, the Camaro SS is also given an update. Its intake system is upgraded, courtesy of Injen, while SCT Livewire Tuner, Hurst Shift Kit, and SLP Performance parts are also added to list. Unfortunately, we don’t have the resulting output figures after the engine upgrades. And oh, a Corsa exhaust is also there for your listening pleasure.